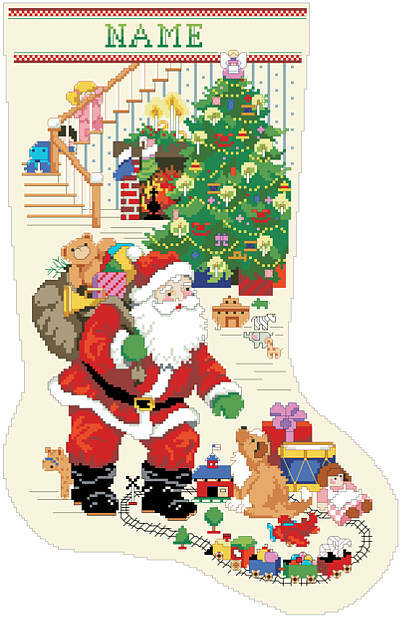 Gift to anyone on the Nice List this darling cross-stitch Santa Claus Stocking to hold all their favorite Christmas treats. This heirloom stocking features a classic design of Santa ready to give his presents away. Personalize with a name, nickname, family name or holiday greeting. Check out the rest of the Kooler Stocking collection. Contents: Stitch Count 139w X 221h, Finished size on 14 count 9-7/8" X 15-3/4"